Pearl was born in the winter and was the only female of the three pups. 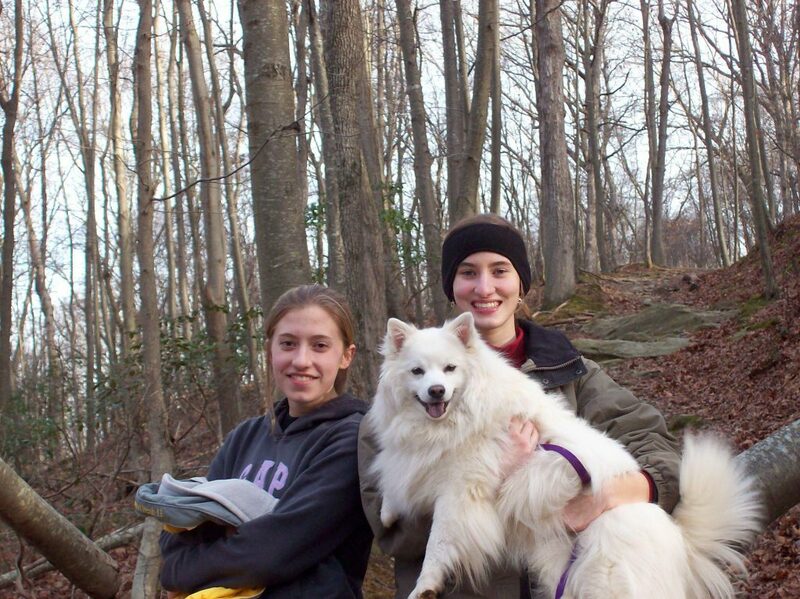 Pearl’s mother, Lily, was one of the sweetest American Eskimo Dogs that I’ve ever met. 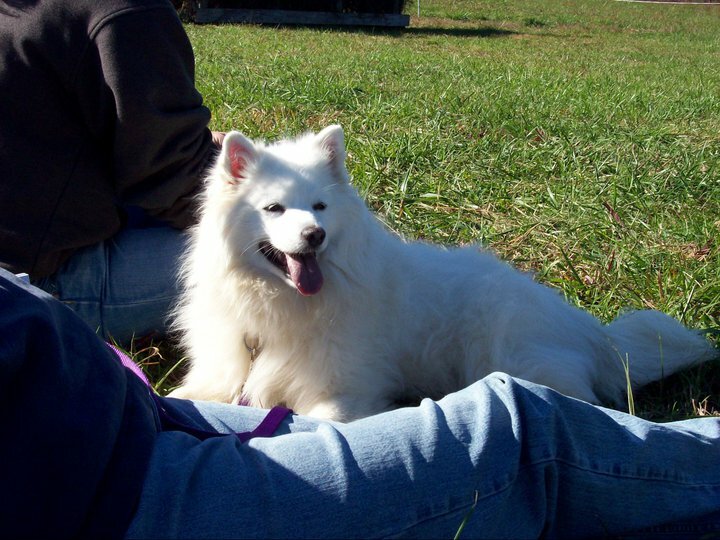 American Eskimo Dogs are smart, obedient, loyal to their family members, but often reserved with strangers. Lily was not remotely reserved. She rode along with her family members to field trips, hung out in the car, loved being pet, and had a quirky little loop of a tail. As I recall, the reason that Lily was bred in the first place was that the owner of the sire was so impressed with her disposition that they asked if there could be a union. In hindsight, given Sophie’s particular disposition, it may have been better to get another male, but that was my mistake and I had really wanted another female and so we added her to the family. My second mistake was not socializing Pearl as much as we should have. Given the litter was the first that our friends had ever had and that it was winter, the puppies didn’t get out a whole lot. Plus, we had a prior trip planned and asked our friends to hold onto her until 10 weeks. When we brought her home at the end of January, she was pretty depressed for several days. She hid in her crate and had to be dragged out to use the bathroom. (On the upside, she learned potty training very fast.) But we felt bad about taking her away from her family, and integrating her into a household with four new people that already had one grumpy dog, so we didn’t rush new experiences. Dog training books recommend 8 to 12 weeks as the most critical socialization period for your new puppy. During this period, you are supposed to introduce your pup to car rides, new people (men, women, kids, people in puffy coats…), vacuums, dishwashers, laundry machines, things dropping on the floor, garbage truck noises, other animals (cats, birds, wildlife), other dogs (except not until after your pup has all it’s shots), new places (vet office, pet stores – although again wait until after immunizations, parks), and really as many sounds, sights, and smells as possible. Dogs are most malleable in this period and socialization after this period isn’t nearly as effective. Pearl had some trips to visit other friends and all the experiences that living on a small farm in the middle of winter afforded her, but we didn’t get her around nearly enough other people or dogs. Subsequently, Pearl loved us, her family, and was a stellar guard dog to anyone else who showed up, but didn’t really believe in quieting down once we let them in the house. She also, unfortunately, had some bad encounters with Sophie. 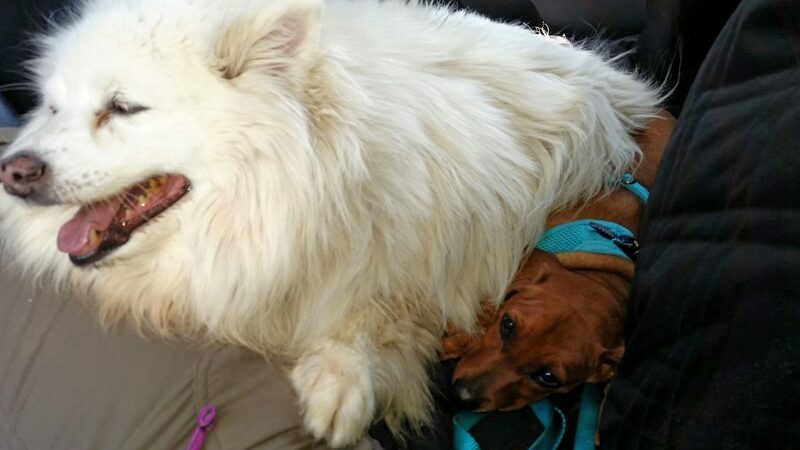 Sophie floored her a couple times and after that Pearl stopped trusting most other large dogs and became fear aggressive. We did take Pearl as a puppy to a PetSmart dog obedience class, but I think the damage with Sophie had already been done and it was neither effective training nor the right kind of environment for Pearl who was now leery of other dogs. However, Pearl and Toby got along very well, and poor Toby put up with a lot given that Pearl considered his tail and ears pretty awesome chew toys and she was always jumping all over him. Thankfully, we could kennel them together to keep each other company and not have to worry about Pearl getting too stressed. Not only did Pearl and I master more obedience than I had with any other class or any other dog, Pearl came to trust me more to protect her from other dogs. At the end of the 8-week class, we were voted “most improved” and actually invited to a dog obedience demo at a local festival and Pearl did okay. I attribute nearly all of that to P.U.P.S. training techniques and recommend them to nearly everyone that I know who lives in the Maryland-DC area. I took their class with Pearl over 10 years ago and despite the fact, I now live close to an hour distance from them, when I was ready for obedience with Ayla, they are the only folks I truly considered. 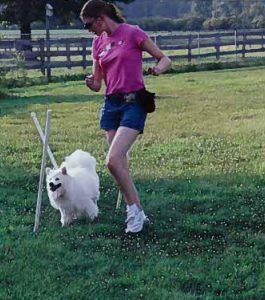 After mastering obedience with Pearl, I enrolled Pearl in an outdoor agility class in Rising Sun, Maryland. That class was way out there, but it was spacious enough that Pearl could learn and run agility without being on top of the other dogs enrolled in the class. She actually did very well. Pearl is very food motivated and seemed to enjoy doing the agility obstacles for cheese. Unlike Sophie, Pearl was described as a “velcro dog” and liked to stay glued by my side. This became pretty obvious to me during her first trial, in which she did two obstacles and then stopped to bark at the judge, “Mama! Why is this strange man following us??? Jump? But he’s right here! He’s watching us! I don’t think you are properly understanding the severity of this.” We timed out and got disqualified from that one. 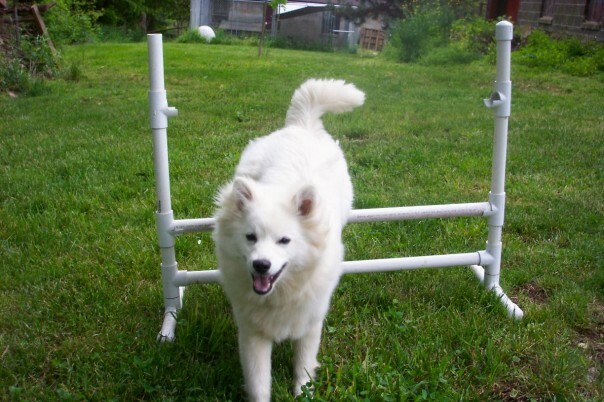 But Pearl did really enjoy doing agility in our backyard and at class. Had I not left for college about that time, I think we could have worked out her issues with the judges following us at trials. Over the years, Pearl has certainly mellowed out with friends of the family and only barks to warn us of folks in the driveway, joggers passing the house, or in the mornings at houseguests who stay overnight. “Oh hell you are still here?!! Does everyone see this? A non-family member just walked into the kitchen! 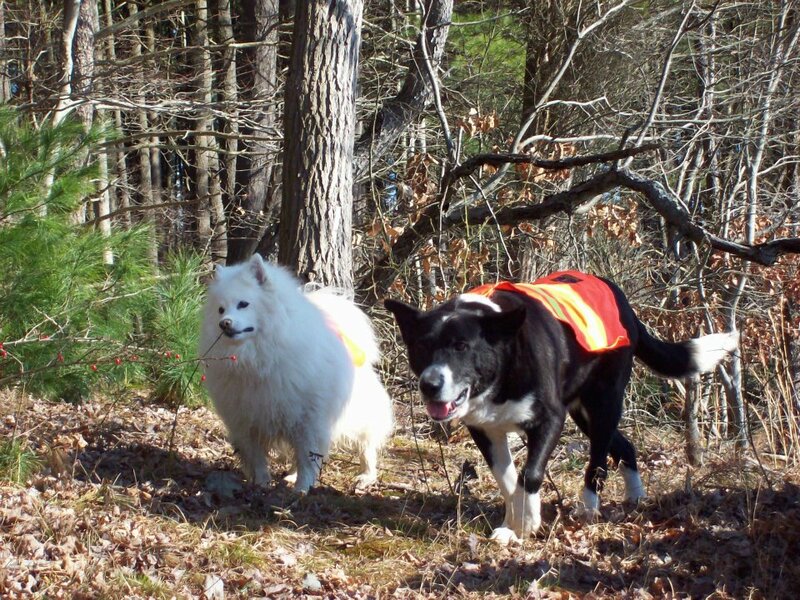 I thought we got rid of them last night!” Unlike Sophie, Pearl retained her obedience manners, and enjoys hiking with my parents, and trusts my parents to keep her safe from other dogs loose on the trails. Unfortunately for Pearl, Toby got colon cancer and had to put down a few years back, so that left just her and Sophie until Sophie passed. 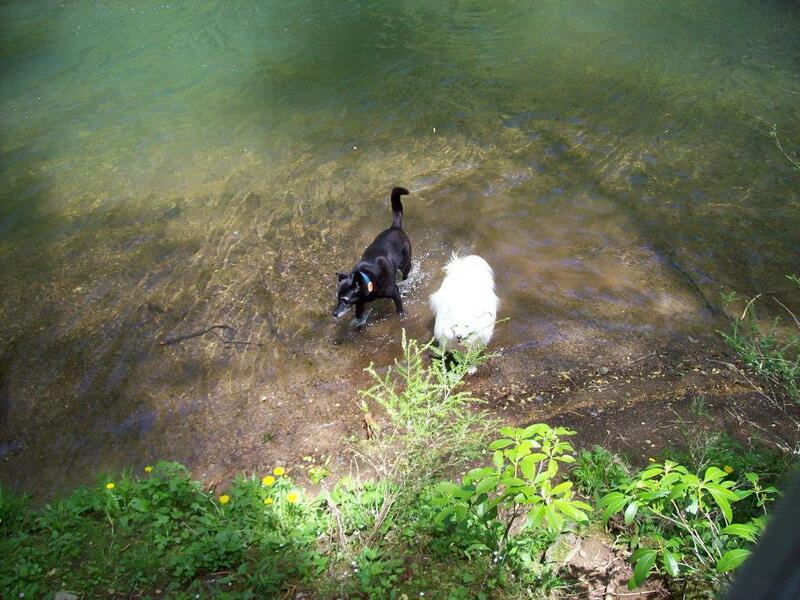 It was a tense existence for the both of them, as Sophie became deaf, more senile, and more unpredictable in old age, and Pearl often growled out a warning if Sophie ambled too close. When both dogs were in the same room, Pearl was most often found camping out behind the armchairs of my parents, as she understood we were more likely to side with her than Sophie and Sophie rarely tried to navigate those nooks and crannies. Pearl is now an only dog and very loyal to my mother who spoils her just a little. Pearl is very happy with this arrangement and often gives me “the look” when I bring Ayla home to visit. “Who brought this puppy? I didn’t approve of this.” But since I introduced the two of them early when Ayla was just a wee pup, Pearl is tolerant of Ayla even though Ayla is crazy enthusiastic about Pearl and now bigger than Pearl. Sometimes we do have to step in because we can tell Pearl is getting cranky and Ayla is just oblivious and in love with her big sister, but Pearl has given Ayla far more tolerance than Sophie ever granted Pearl. Even if she did occasionally sit on Ayla in the car. 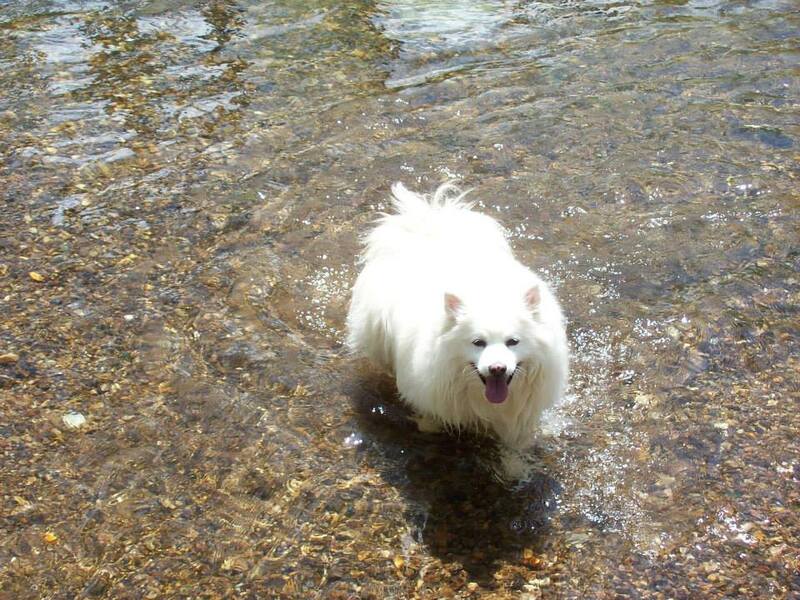 Pearl was the last dog I trained while living a home with my parents. 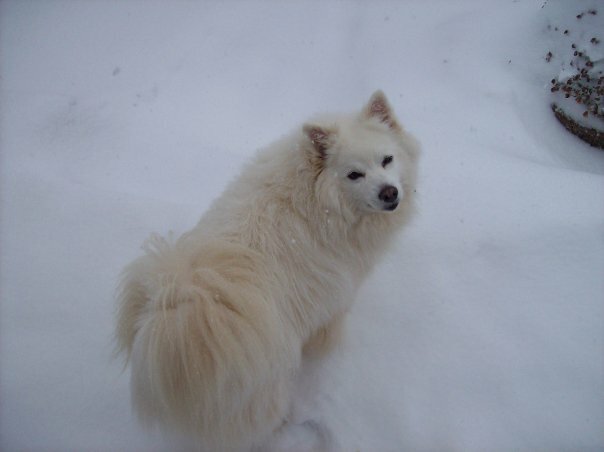 I did not have another dog until I was living on my own and brought Shasta home.